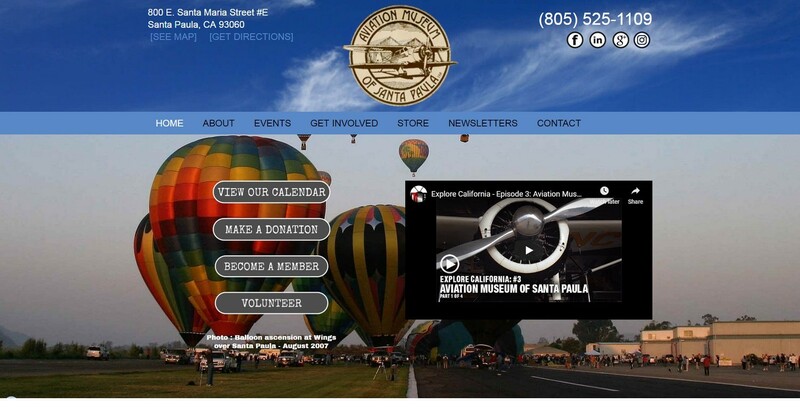 The Aviation Museum is the 3rd business/organization we have based on the the Santa Paula Airport (the airport being the first). The referral came via Judy, the owner of CP Aviation (the other client on the airport) who is involved with the museum. The previous version of the site had been built and maintained by one of the museum volunteers. It had been added to piecemeal and information was in various places, often with other, unrelated content. We rebuilt the site and completely reorganized the content so that all related content was on the same page, plus we reorganized the site navigation to make it easier for visitors to find the information they were looking for. In addition, we added a better calendar that now allows the museum to sell tickets to events. We also added the ability for the museum to receive donations directly off the site. Neither of these features were available on the old site.